Our local customer service team is here to ensure that you are able to enjoy your outdoor misting system all year long. You have made a significant investment in your outdoor living space or commercial outdoor patio with the purchase of a high pressure misting system. What most misting system companies do not care to highlight is that your high pressure misting system needs pro-active care in order to protect your investment, no matter what the warranty period. Commercial-grade and residential misting systems are similar to automobiles in that they need regularly scheduled misting system service. That means that regular oil changes, changing water filters, and replacing nozzles that aren’t performing is essential. Believe it or not, systems are even susceptible to damage in winter temperatures. Yes, even in the Coachella Valley. 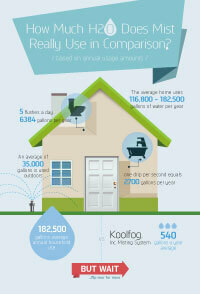 Koolfog has provided misting system service in the Coachella Valley for over 30 years. The Koolfog Comfort Club is the culmination of our many years of experience and is undoubtedly the most comprehensive service program available in the industry. We service the Desert Cities, including Palm Springs, Cathedral City, Rancho Mirage, Palm Desert, Indian Wells, La Quinta, Indio, Bermuda Dunes and the entire Coachella Valley with factory-trained service technicians. How? Because we are the factory. The reason this is so important to us is that we are friends & neighbors. We are as interested in happy customers in our own backyard as we are in the many Fortune companies that rely on Koolfog. 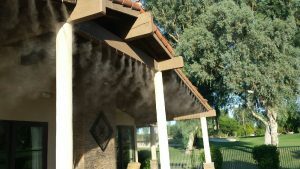 If you need misting system service please don’t hesitate to call us at 760-321-9203. 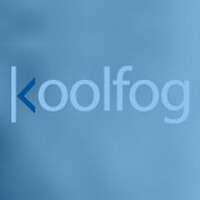 We service both Koolfog and non-Koolfog misting systems.